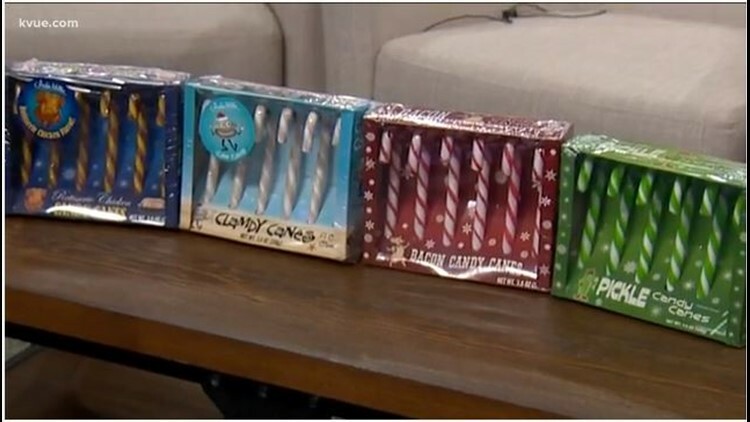 Some of the new candy cane flavors include clam, bacon, rotisserie chicken and pickle. AUSTIN — You know the Christmas season is here when you start seeing candy canes! They're pepperminty and delicious. But don't you sometimes get tired of the same old taste? On tonight's "Does It Work Wednesday," Quita Culpepper found some that could become a new holiday tradition...or not.